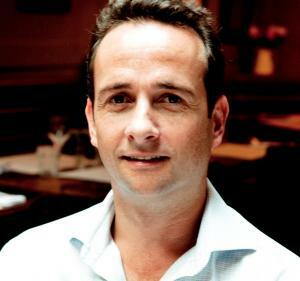 Matt Hermer was born on the 16th April 1971, in Cardiff, Wales United Kingdom, and is a restaurant owner, best known to the world as the founder of the Ignite group, through which he owns several nightclubs and restaurants around Europe and the USA. Have you ever wondered how rich Matt Hermer is, as of mid- 2016? According to authoritative sources, it has been estimated that Matt Hermer`s net worth is as high as $20 million, an amount he has acquired through his successful career. Matt grew up in his hometown, and was raised by his father, Julius, who was the lord mayor of Cardiff. After finishing high school, he enrolled at Reading University in England, where he first studied land management, however, he later switched to politics and history. Before he had become a successful and widely known restauranteur, Matt was an investment banker. His first job was at Hambros Bank, after that, he was hired by Kleinwort Benson and eventually the ABN Amro investment group. These positions helped build Matt’s initial net worth, and enabled him to branch out and develop his real interests. However, ten years later in the early 2000s he bought his first bar, located in Chelsea. London on Walton Street. He began restoring the bar, and changed the name to Eclipse. Thanks to a successful project and subsequent management of the bar, he was soon able to open another bar, this time it was the more luxurious Boujis. Little by little his business has grown, and so has his net worth, and in no time he has now accumulated several bars across England. In 2008, he founded the Ignite Group, through which he now manages the operations of his bars. Nowadays, he has opened other bars across the globe, including in Hong Kong and Spain, among other countries. He has also collaborated with Starwood Hotels, in which he has opened bars, further increasing his net worth. Thanks to his successful career, Matt has received several prestigious awards, including the “Restaurateur of the Year” in 2008, awarded by the Tatler Magazine. Also, every year after 2008 he has been featured in the “The 1000 London’s Most Influential People” list by The Evening Standard. Regarding his personal life, Matt Hermer has been married to Marissa Hermer since 2010, who is American-born, and a star on the Bravo reality television series “Ladies of London”. The couple has two children.